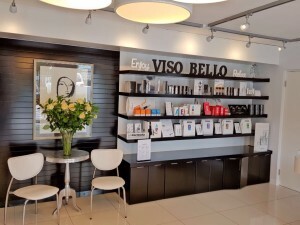 My Appointment | Viso Bello | Book appointments online hassle free. 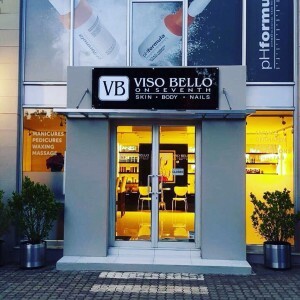 Our primary purpose at Viso Bello Skin Care Centre is to assist men and women who are serious about their skin health and wish to optimize its potential. Given the numerous skin care products and options available in the market we take it upon ourselves to select, evaluate and promote the sale of products, which in our professional opinion are cost-effective and produce results. Clients are then free to make informed, knowledge-based decisions about their skin care products without being over-whelmed by sometimes misleading and confusing information. Our primary product of choice is currently NIMUE which is a derma-cosmeceutical. However, we also stock several imported products which also address all skin problems and conditions. **Please Note: At Viso Bello, we understand that your time is important. If you would like to have multiple treatments, you may split you booking over multiple therapists. For example, you may book a manicure with one therapist, and a pedicure with another therapist at the same time. 12 years old. We look forward to welcoming you for a treatment, and kindly ask you not bring children with as it is disruptive to other clients. We reserve the right to rearrange the appointments to maximize the time usage of the therapists.